Proudly servicing the East Valley i.e. Ahwatukee, Chandler, Mesa, Tempe as the #1 rated Pool Guy. Chandler residents can visit our pool repair Chandler AZ page to learn more about our full maintenance and installation services. For those in Gilbert, Arizona. 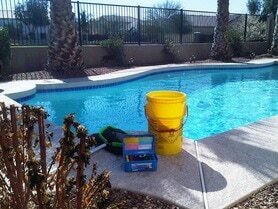 Visit our pool repair Gilbert AZ service page to learn more and request a free evaluation and diagnostic report.